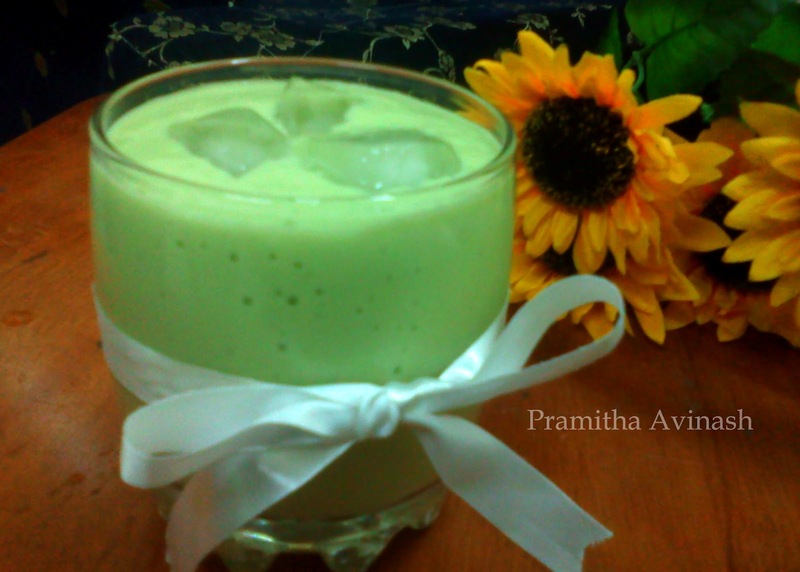 Today am going to prepare avacado shake,its a green vitamin packed drink.Avocados are the best fruit source of vitamin E, an essential vitamin that protects against many diseases and helps maintains overall health. So here you have a healthy drink. 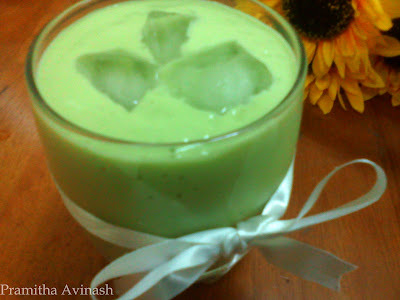 1.Blend all the ingredients with icecubes until smooth and creamy. 2.Fill the shake in the glass and put some ice cubes.